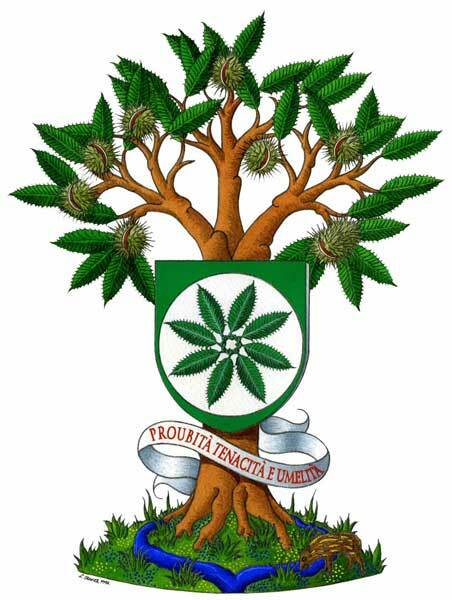 Coat of arms of the Sénac de Laforest’s family (France). 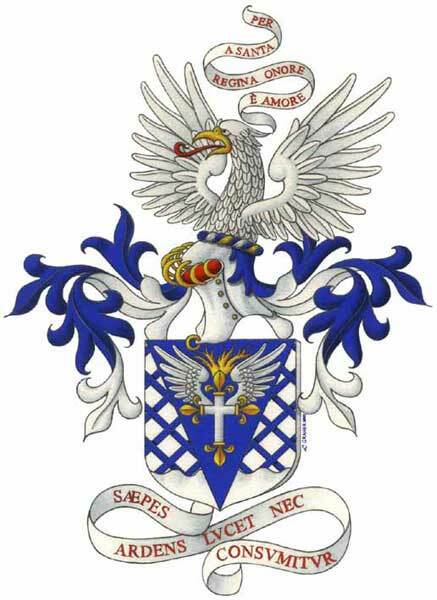 Order of St Michael. 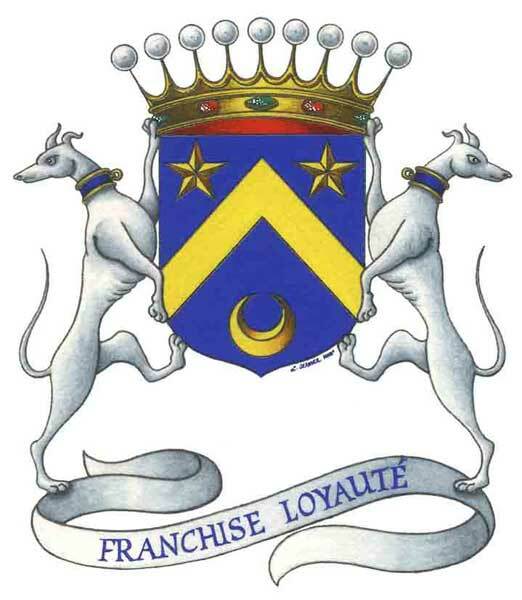 Coat of arms of the Boudrant’s family (France) in the early XIVth century. 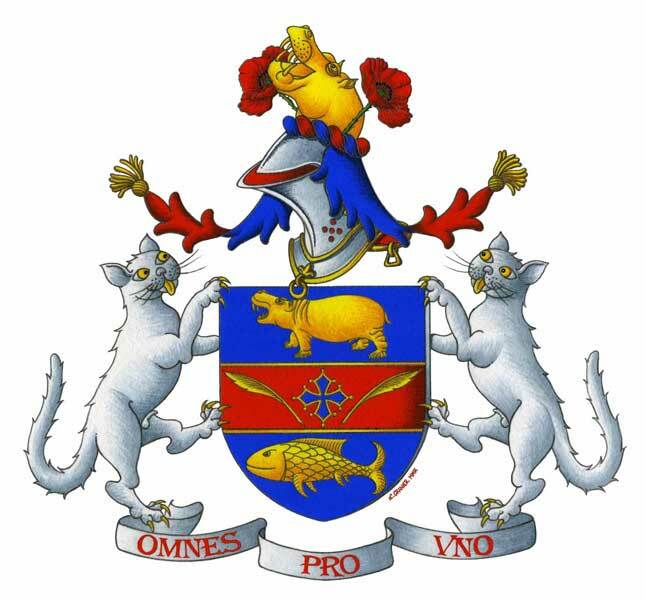 Creation of the arms of the Piombino’s family (France & Norway). 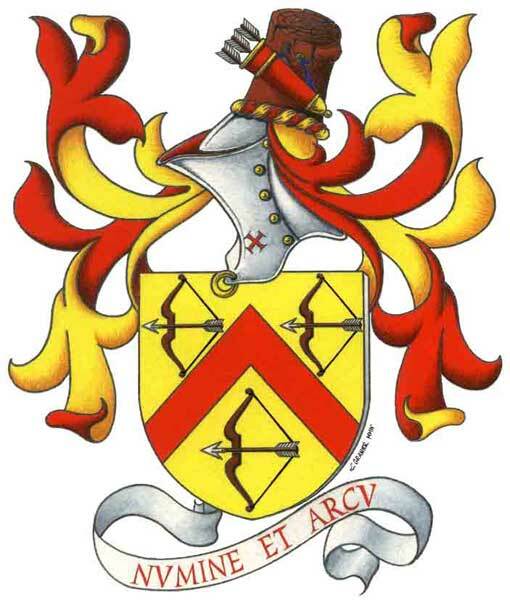 Creation of the arms of the Bertrand’s family (France). 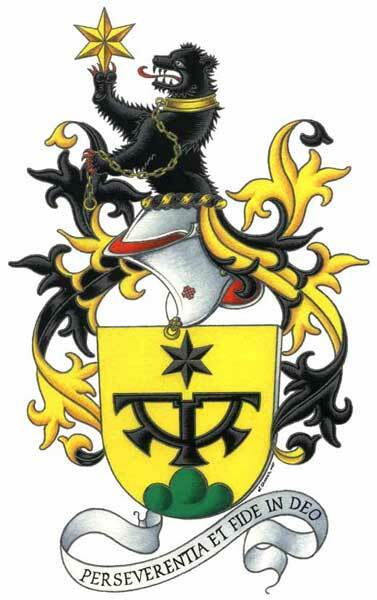 Coat of arms of Dr Bernhard Peter (Germany). 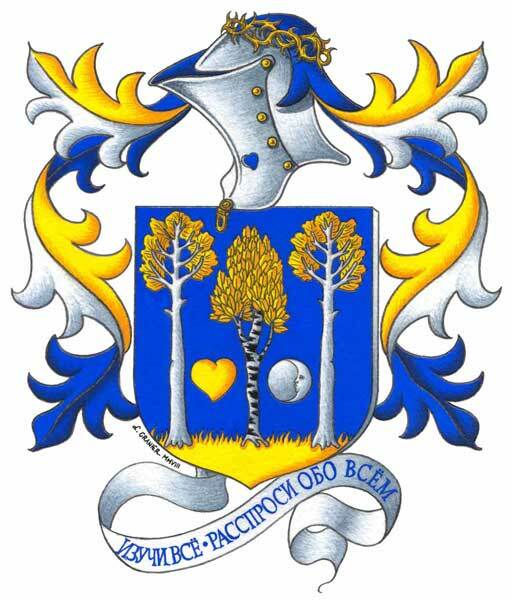 Coat of arms of the Bacelar’s family (Portugal & Brazil). 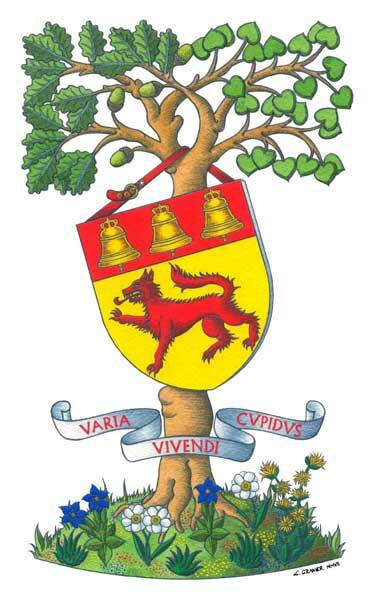 Creation of the arms of Mr Versini-Bullara (France). 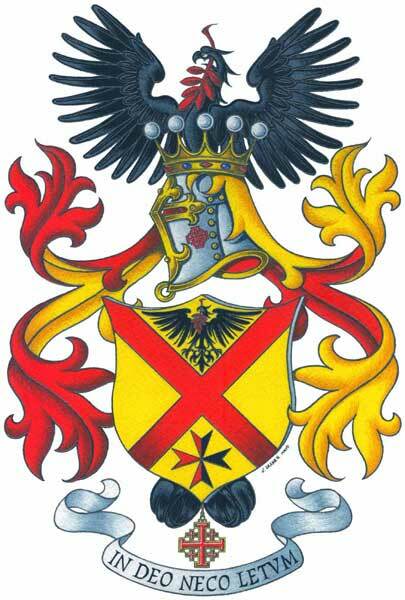 Coat of arms of the Steinbach’s family (Belgium). 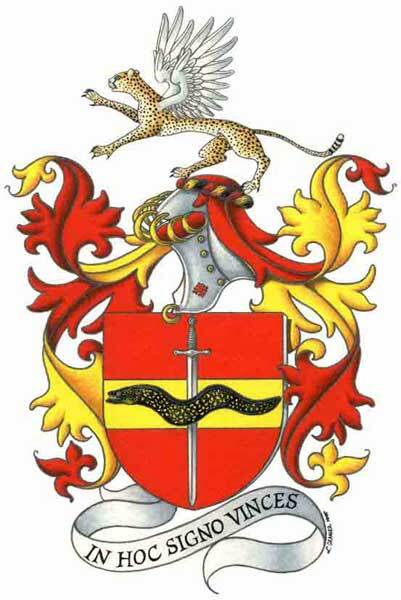 Creation of the arms of the Diafouka’s family (France & Congo Brazzaville). 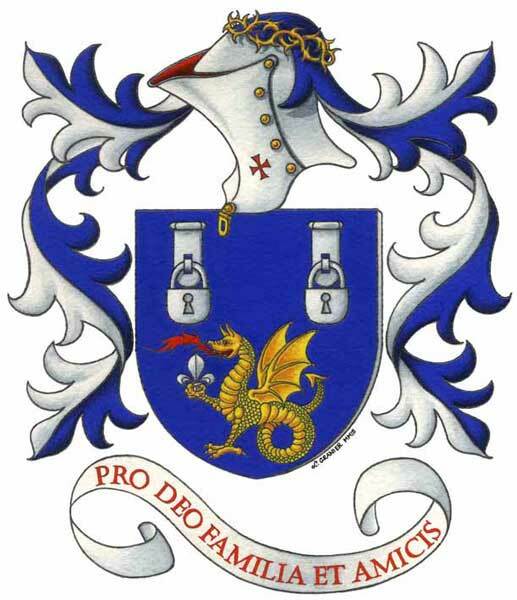 Creation of the arms of the Rebrook’s family (USA). 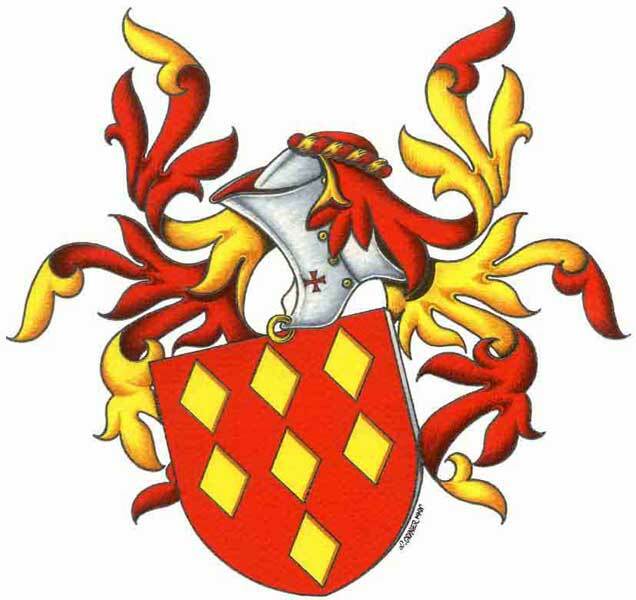 Coat of arms of the Merly de la Châtre de Nançay’s family : the father and his chidren (France & Belgium). 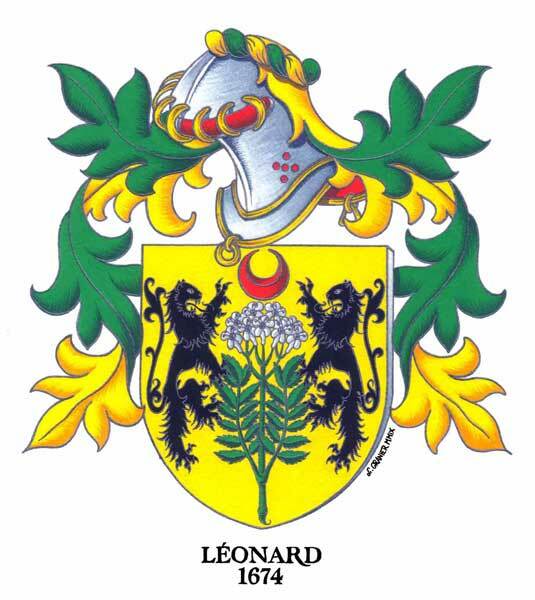 Canting arms of the Léonard’s family (France). 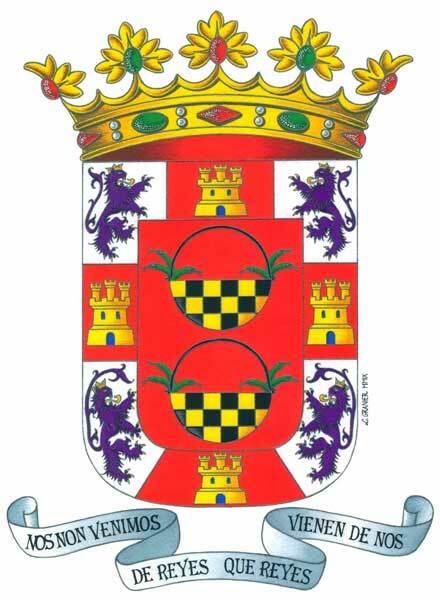 Coat of arms of the Duke of Manrique de Lara (Spain). 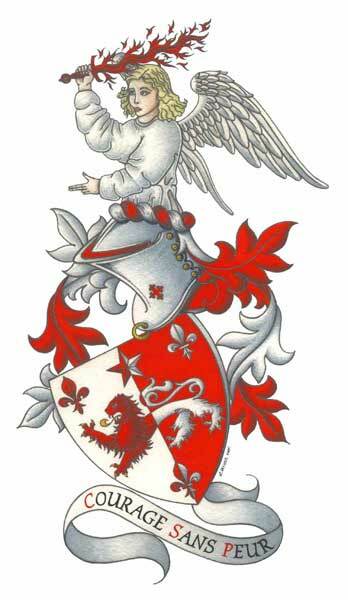 Creation of the arms of the Alphonse’s family (France). A family with pirates in his ancestry. 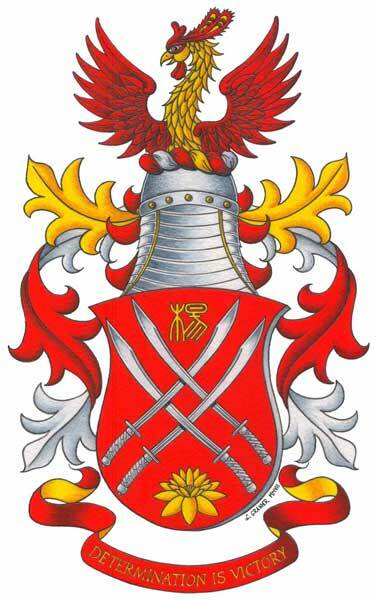 Creation of the coat of arms of the Dartevelle’s family (Waloonia, Belgium). 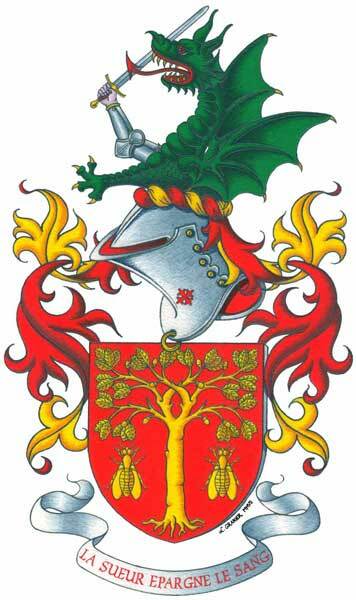 Coat of arms of the Diogo’s family (Portugal & Switzerland). 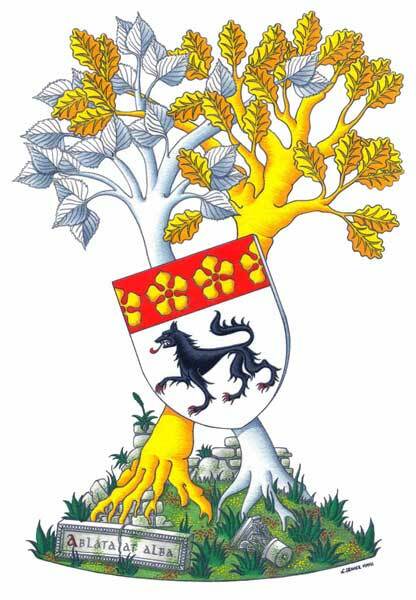 Coat of arms of a branch of the Champs de Saint léger’s family (Nivernais, France). 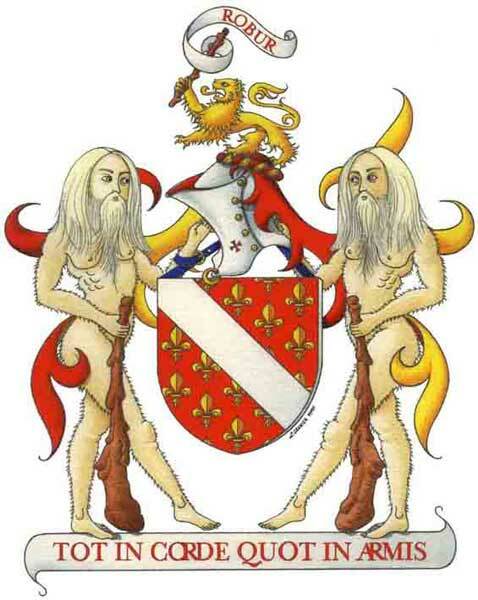 It is the only European family to wear mandrakes in his arms. 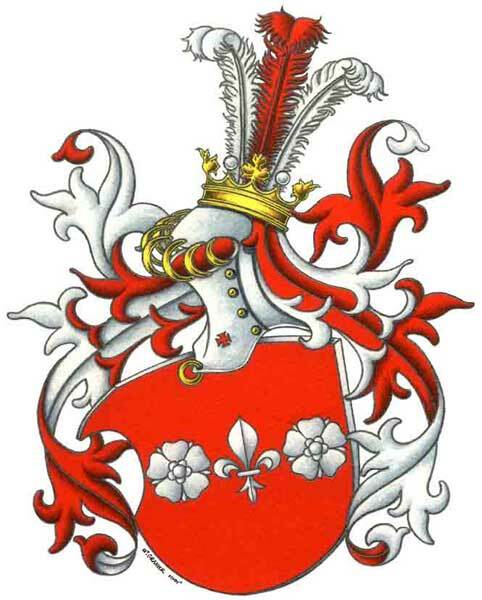 Post-mortem coat of arms of a French lady of Russian origin. The Russian motto means: “Learn everything, ask everything”. 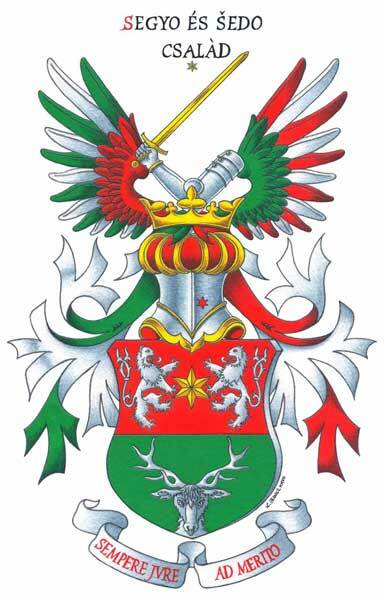 Coat of arms of the Segyo’s family (Hungary & Slowakia). 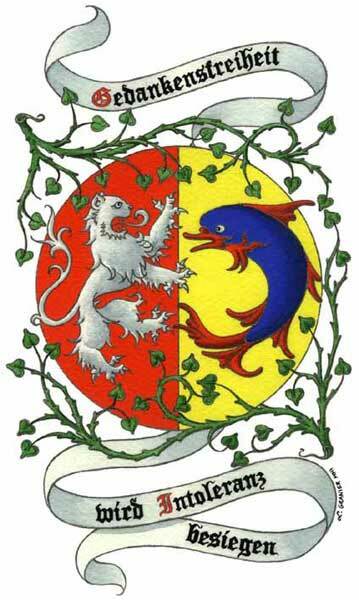 Creation of the coat of arms of the Faivre’s family (Burgundy, France). 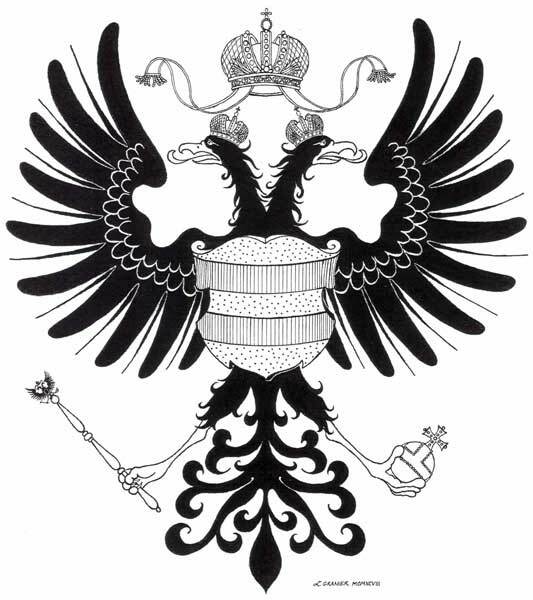 Coat of arms of the Kamel-Kelisli-Morali’s family (Ottoman Empire, Egypt). Coat of arms of the old feudal family de la Rivière pré d’Auge (Normandy, France). 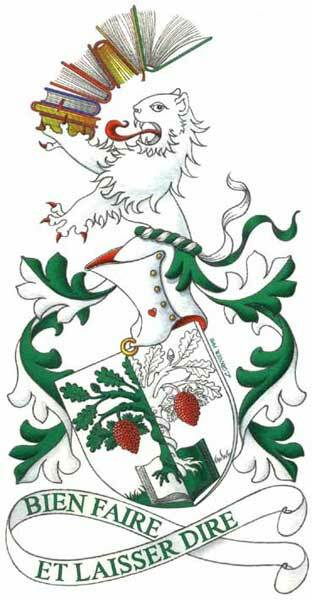 Coat of arms of a branch Schell’s family (Northern-Alsace, France). 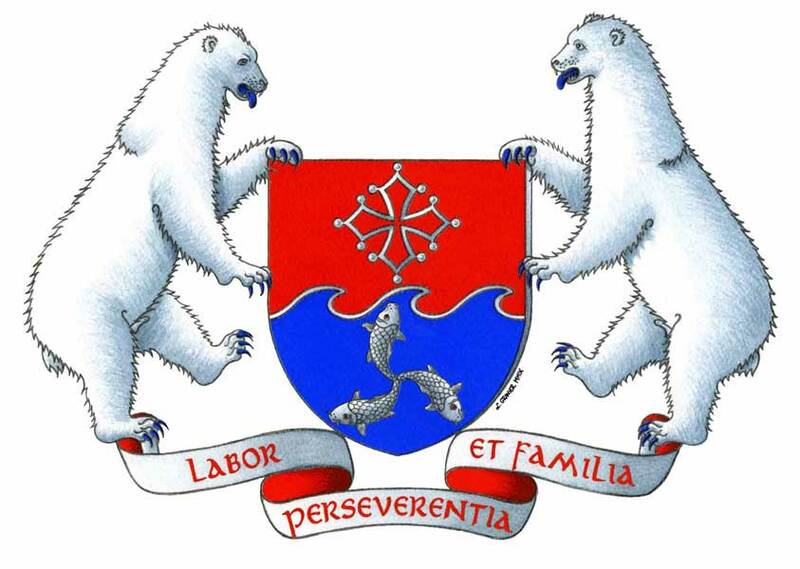 Creation of the Coat-of-Arms of the Levesque’s family (Poitou & Paris, France). 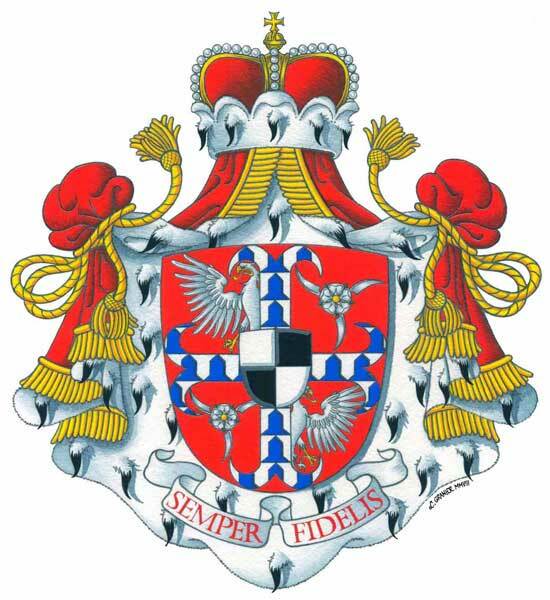 Coat of arms of Dr Bernard Berthod, Historian , Grand Officer and councillor of the Lieutenance of France of the Order of the Holy Sepulchre of Jerusalem (Lyonnais & Savoy, France). 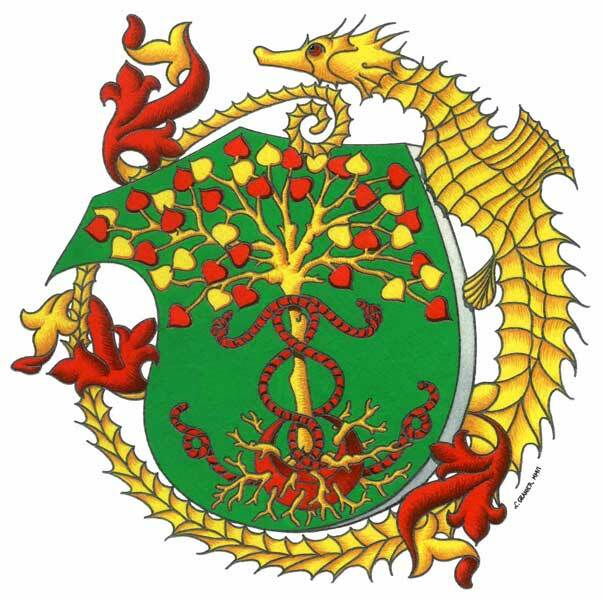 Creation of the coat of arms of the Perras-Clément’s family (Lyonnais & Savoy, France). 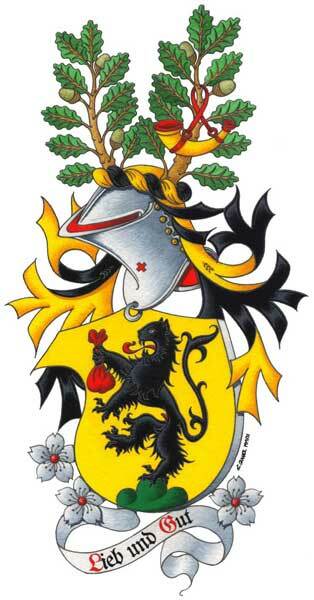 Coat of arms of the Loewenguth’s family (Alsace and Switzerland). Coat of arms of a married lady of the Chaumeil de Massabeau’s family (Auvergne, France). 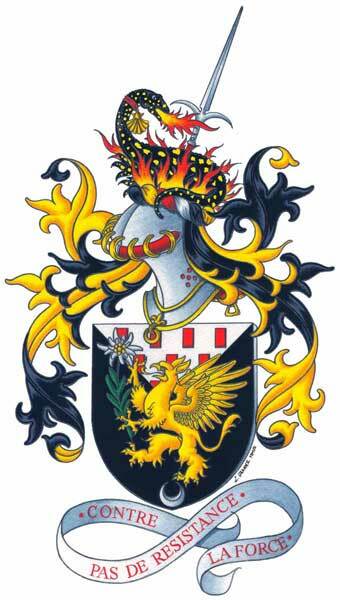 Synthesis of the coat of arms of the Eltschinger et de Gottrau’s family for Cyrill Eltschinger (canton of Freiburg, Switzerland). 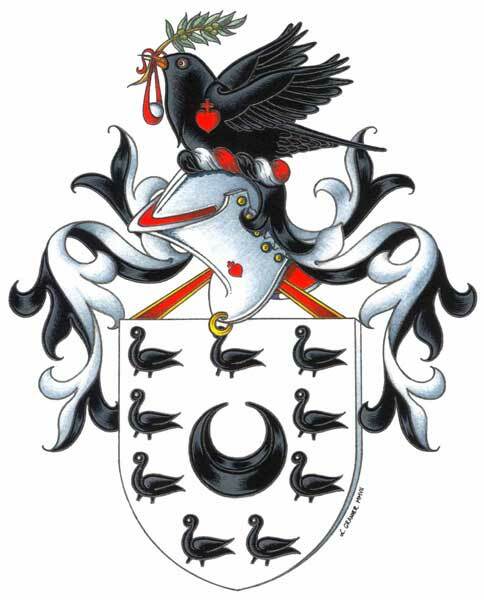 Creation of the canting arms of Miss Maureen Yeo (Singapore and China). Her name is derivated from Yang that means "willow" in Chinese. 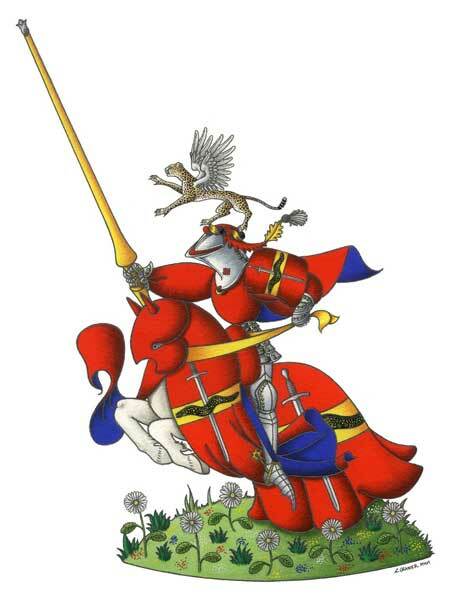 Chinese sabre in the shield of arms are said "willow leaf shaped blade". Coat of arms of Benoît de Diesbach Belleroche, Knight of the Order of Malta. 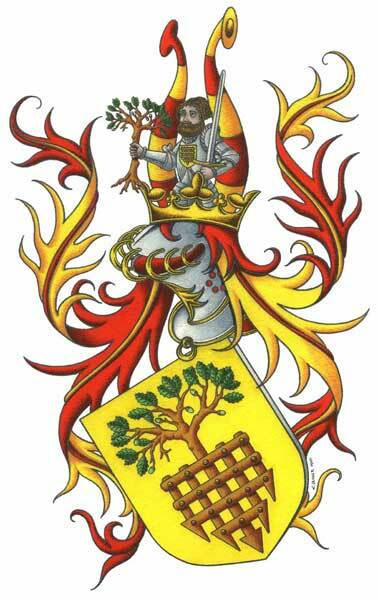 Banner of the arms of the town and canton of Freiburg (Switzerland). 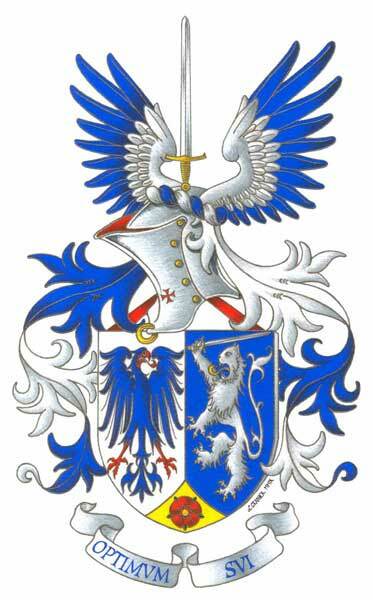 Coat of arms of the princes Skibinski zu Zollern (France, Poland and Prussia). 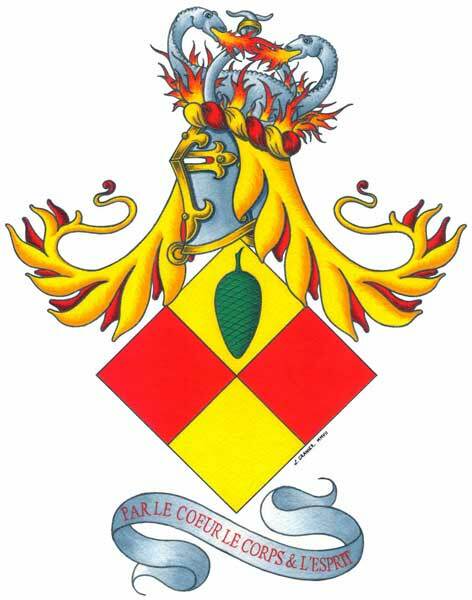 Coat of arms of the Loubet del Bayle’s family (Couserans, France). 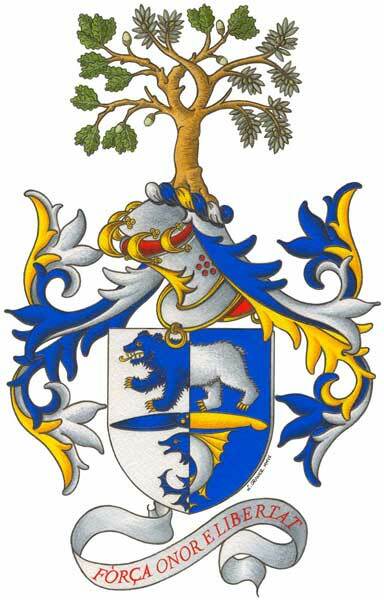 Coat of arms of the Loubet del Firiubini’s family (Swiss & Italy). 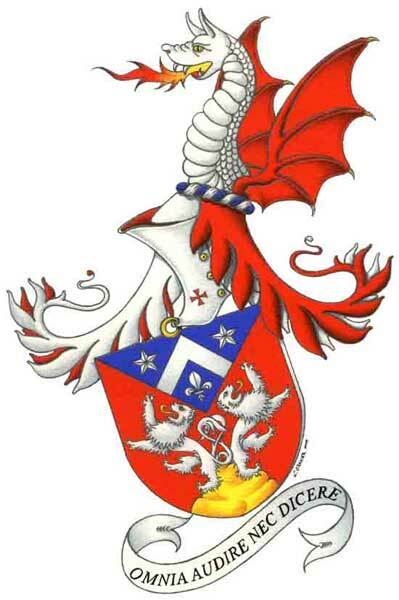 Creation of the coat of arms of the Copéret’s family (Lyonnais, France). 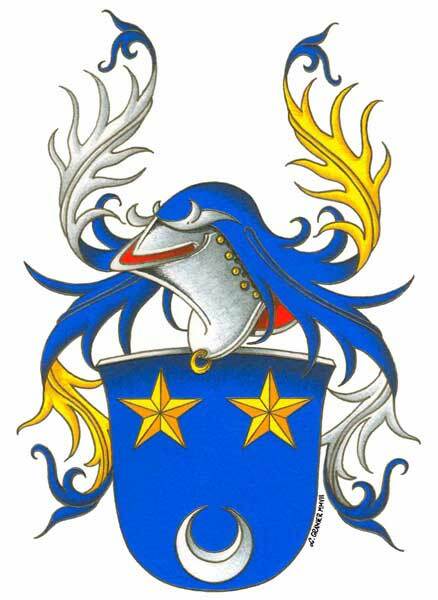 Creation of the arms of the Combalbert’s family (Quercy, France). 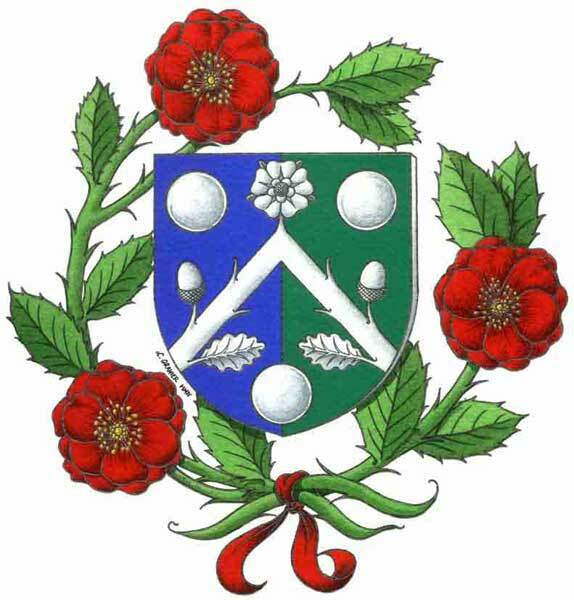 Coat of arms of the Clais’s family (Land of Brédenarde, France). 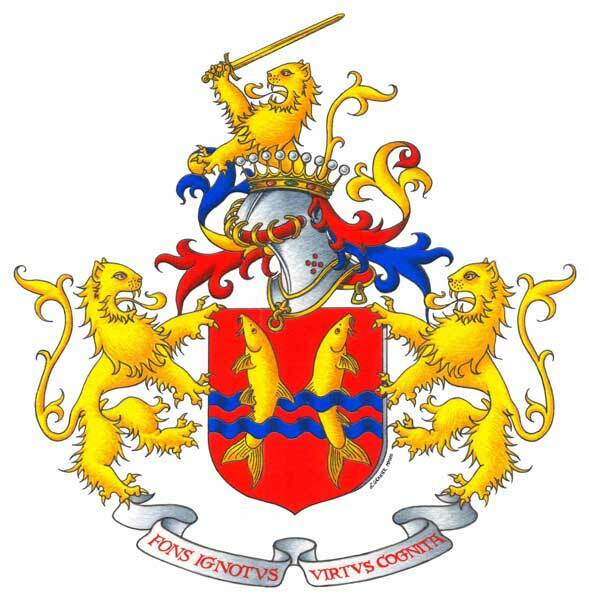 Creation of the coat of arms of the Maudet’s family (Britanny, France). 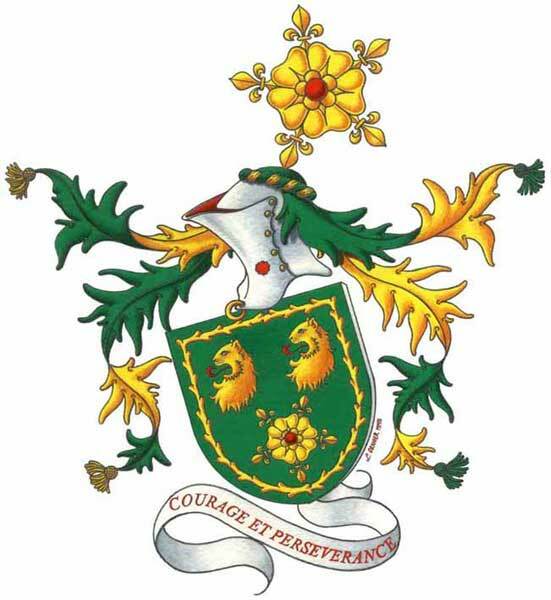 Coat of arms of the Laporte’s family (Auvergne, France) and creation of the crest. 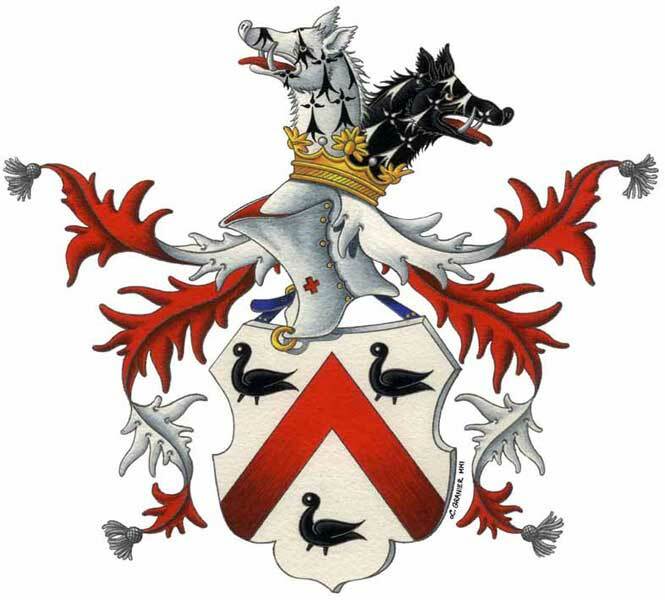 Coat of arms of the Bossard’s family (Britanny, France). Coat of arms of the Corbera’s family (French & Spanish Catalonia). 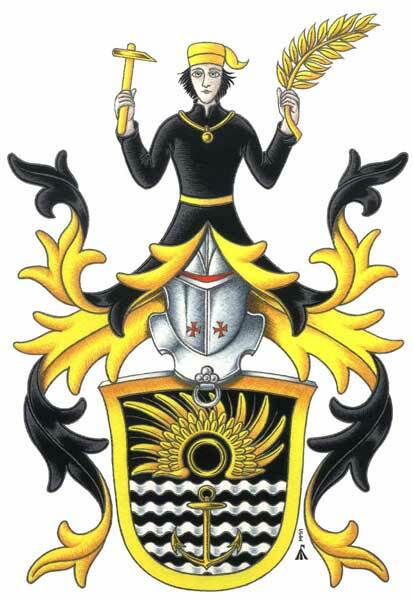 Creation of the crest and augmentation of the arms. 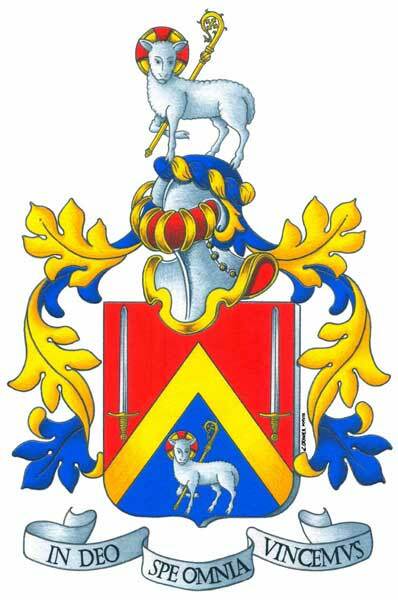 Creation of the coat of arms of the Guillotel’s family (Britanny, France). 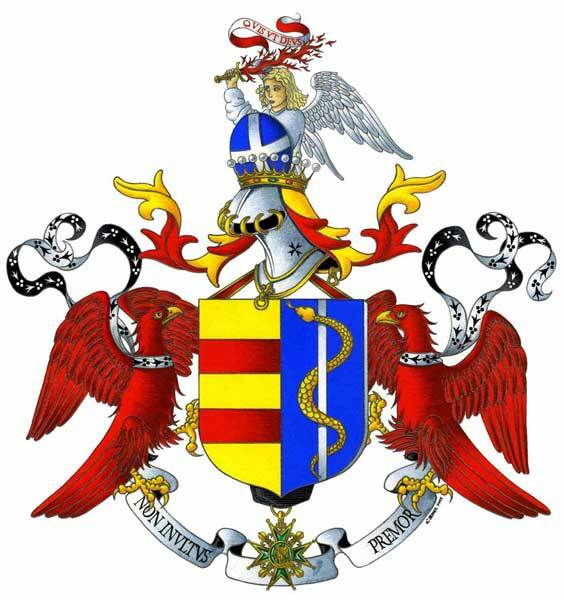 Coat of arms of the Genard’s family (Belgium & France) with a personalization of them by a creation of a crest and a motto. 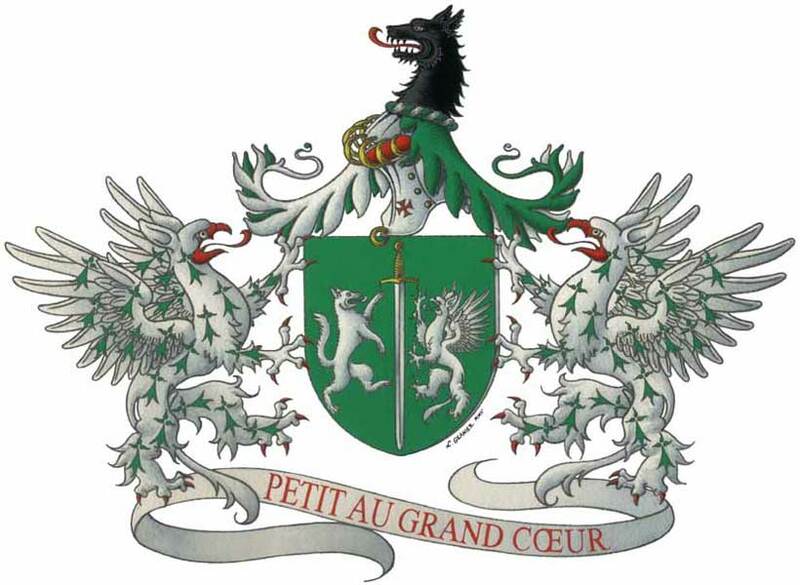 Creation of a crest for the landed armorial bearings of the late heirs of Pierre de Tautilhac, gentleman from the French province of Vivarais, which where presumably composed in the end of the XVIIth. 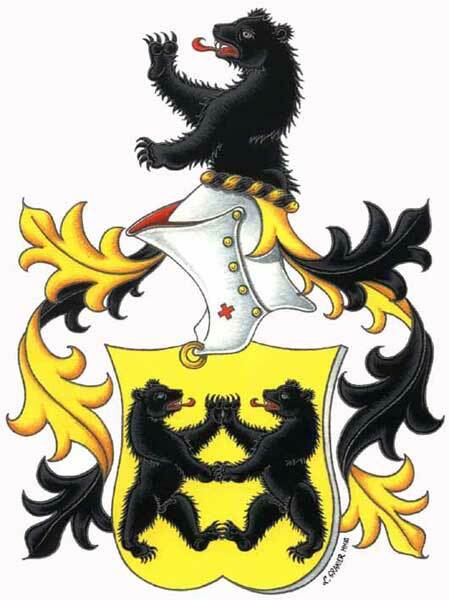 Coat of arms of the Gatter familly (Bad-Würtemberg, Germany). 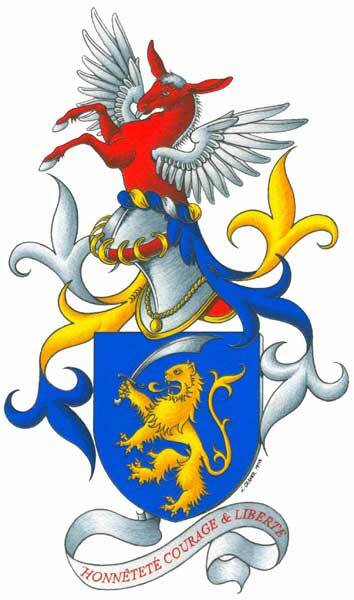 Coat of arms of the Hardin’s family (Kentucky, U.S.A. and of French origins). 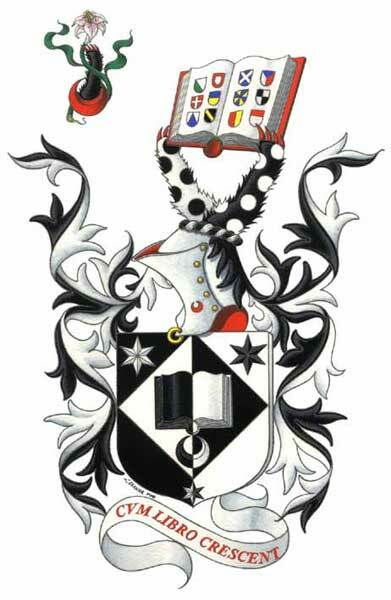 Coat of arms of the Passer’s family (Fribourg, Switzerland). 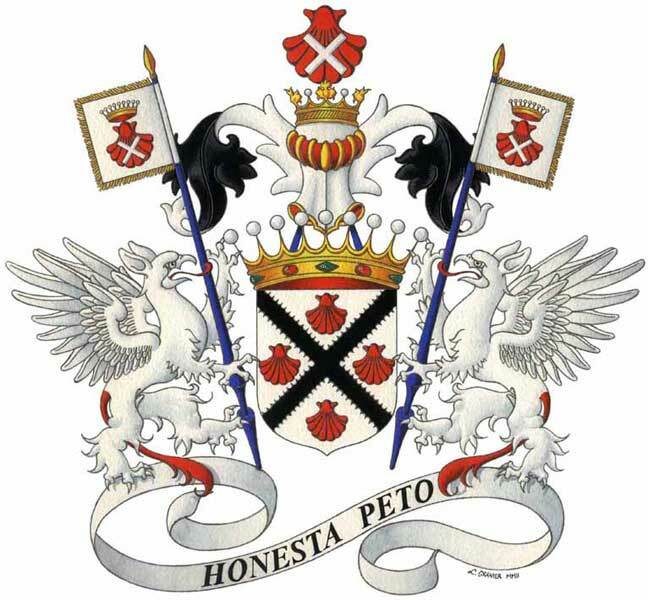 The owner of these arms is Commander of the Order of the Holy Sepulchre of Jerusalem. 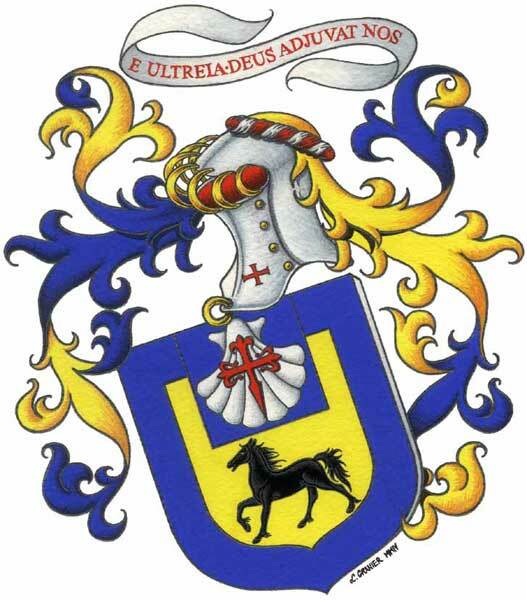 Equestrian arms of François Louis Moreno (France). The horseman is equipped for the joust. 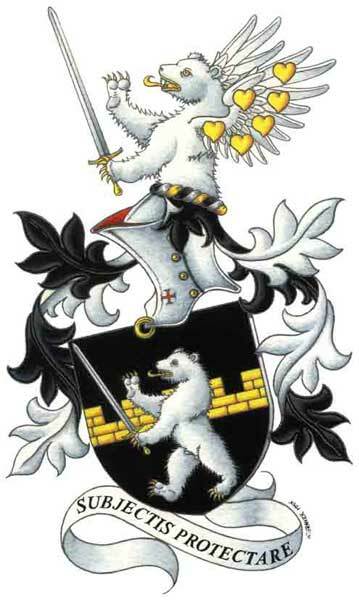 Coat of arms of the Lührs’s family (Souabe, Germany). 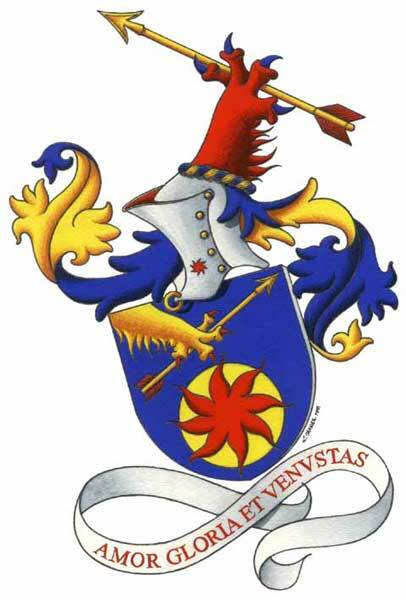 Creation of the arms of the artist Véronique Devignon (France). 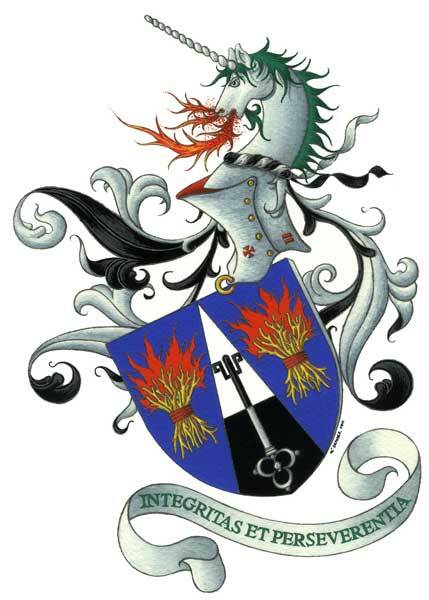 Personalization by addition of a crest and a motto in the coat of arms of the Müller’s family (Quebec, native of cantons of Zürich and Saint-Gall, Switzerland). 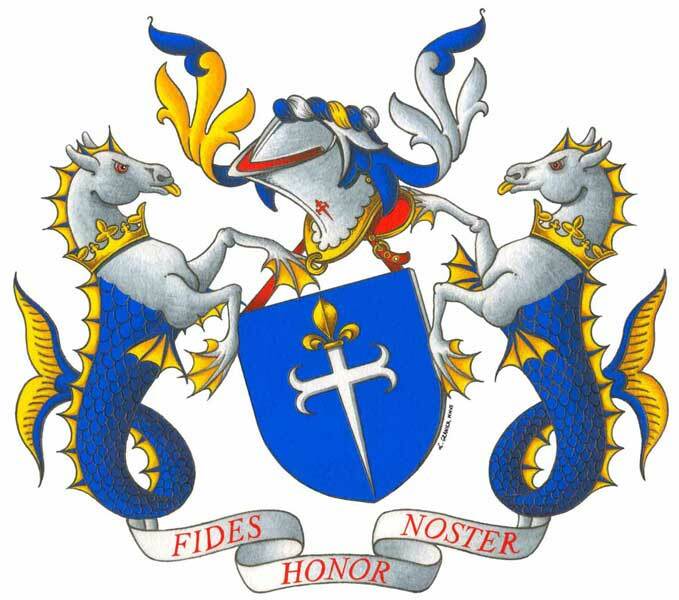 Creation of the coat of arms of the Marché ’s family (France). 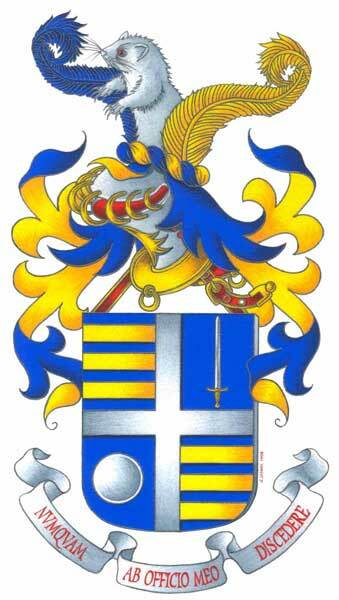 Synthesis of coat of arms Marchese and Croce (Sicily, Italy) for a descendant of these two families. 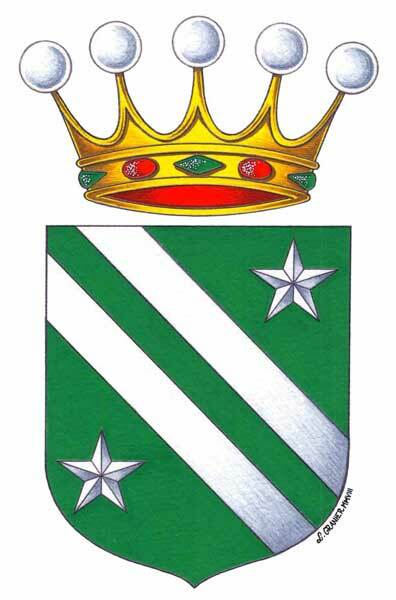 Coat of arms of the counts of Girodon Pralong (Vivarais, France). 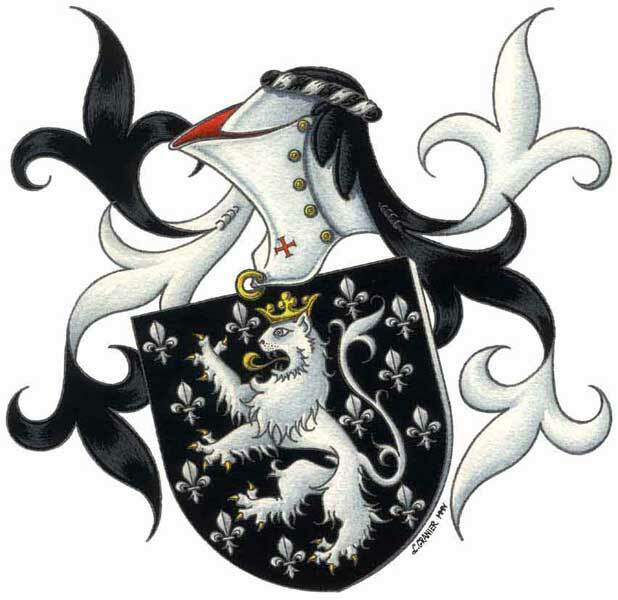 Coat of arms of the Jeanne dit Levavasseur’s family (Normandy, France). 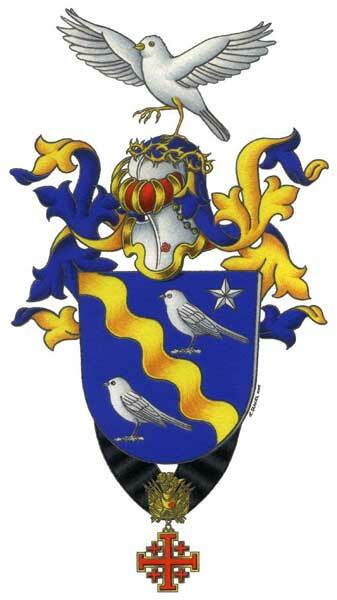 Coat of arms of the Christophe de Piedmenu’s family (Dauphiné, France). 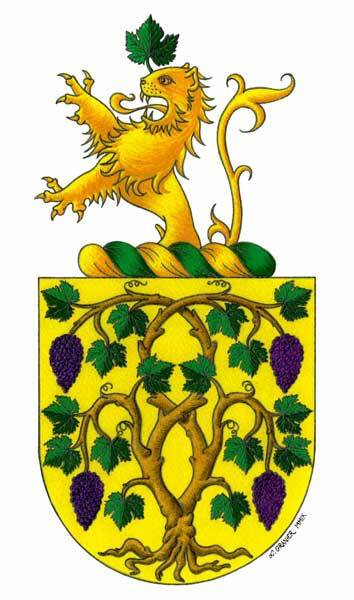 Creation of the coat of arms of the Marché ’s family (Bugey, France). 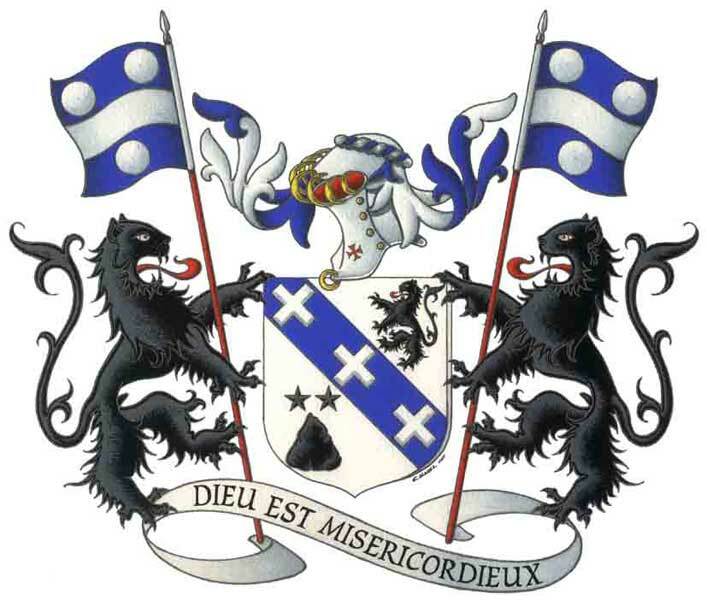 Coat of arms of the Le Godec’s family (France). The cats in supporters are a personnal choice of the lady armiger. 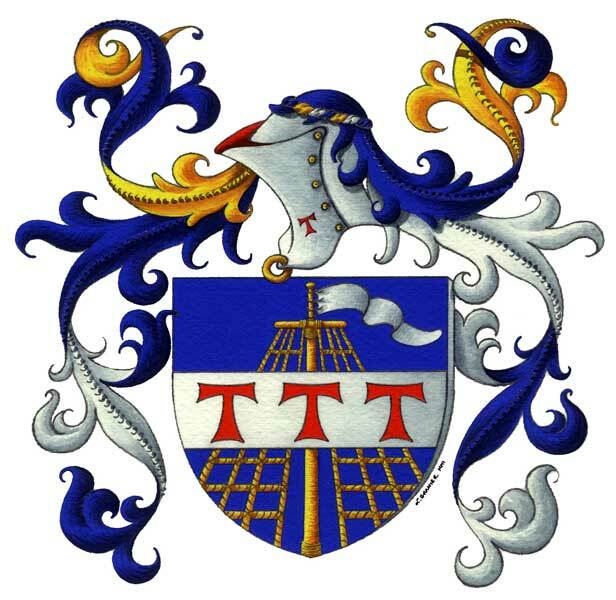 Armorial bearing of a Scottish feudal landed baron. The chapeau and the mantle show the tittle of nobility. 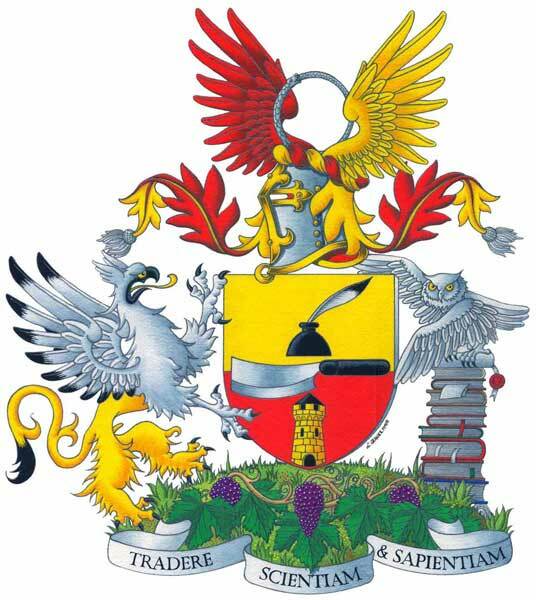 Composition in the style of the armorial Bellenville (second half of the XIVth century). 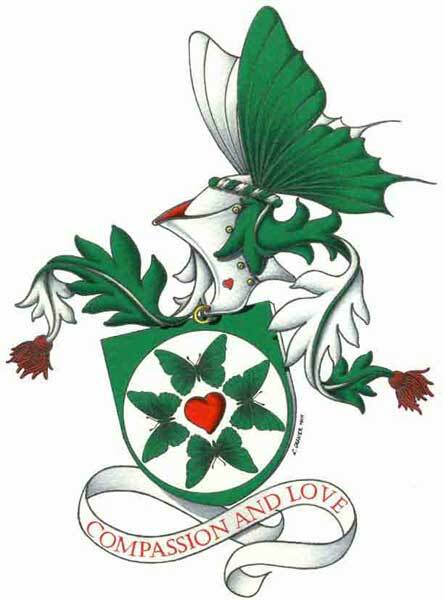 Line drawing version with symbolic hatchings representing colours. Mixed technic gouache and watercolour on paper made from rags ’Arches’, cold pressed 300g/m2 and digital composition, line drawing. 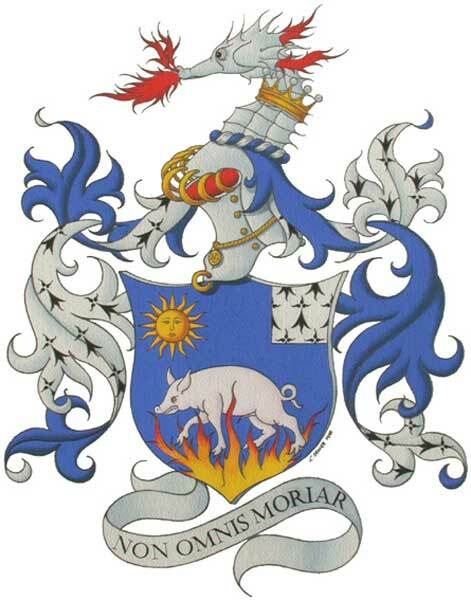 Creation of the arms of the Moraillon’s family (France). 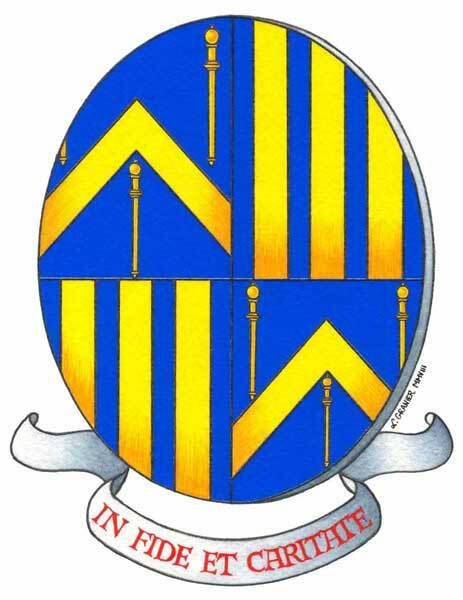 Creation of the arms of Lady d’Anne Goyet-Granier (Forez, France). 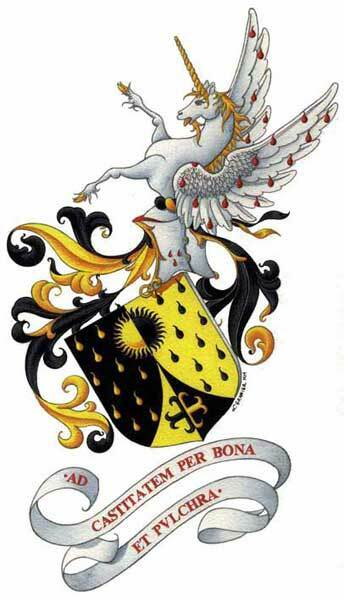 Creation of the arms of the Finotti’s family (France & Italy). 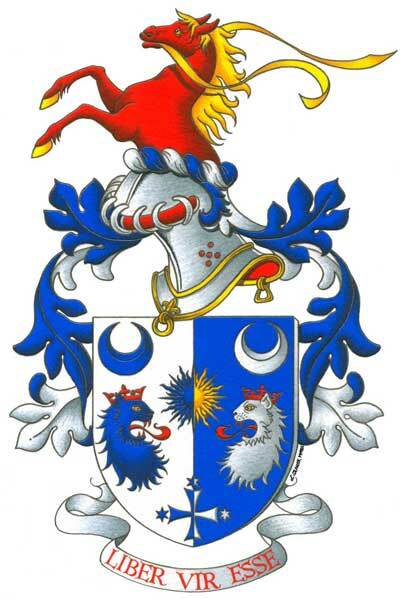 Creation of the arms of the Casagrande’s family ((Alsace, France). 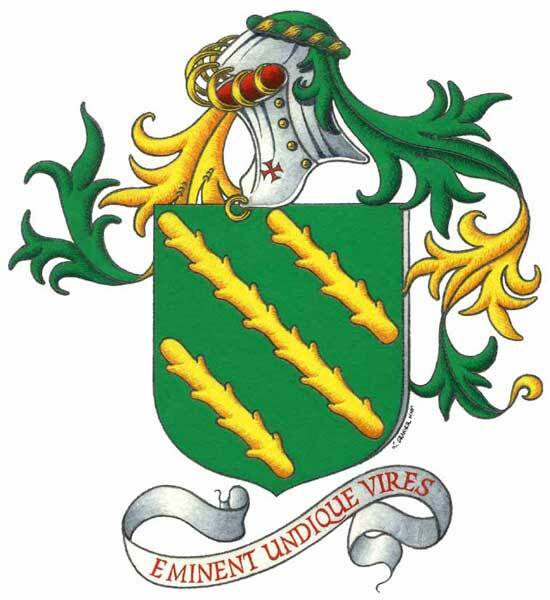 Creation of the arms of Miss Gregory (U.S.A. & Irlande). 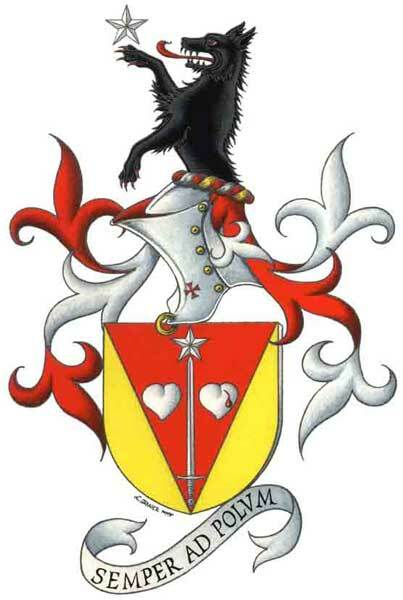 Coat of arms of a noble Belgian family settled in Scottland. 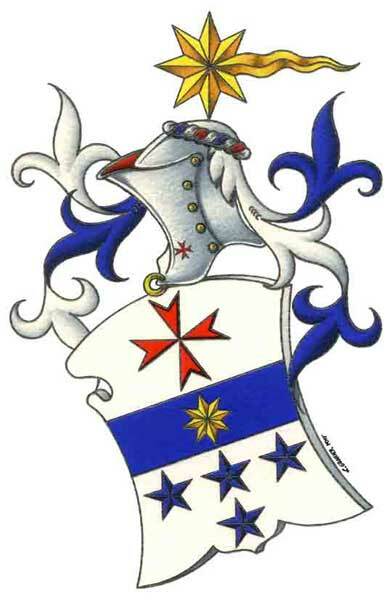 Creation of the arms of the Cardelli’s family (France & Italy). 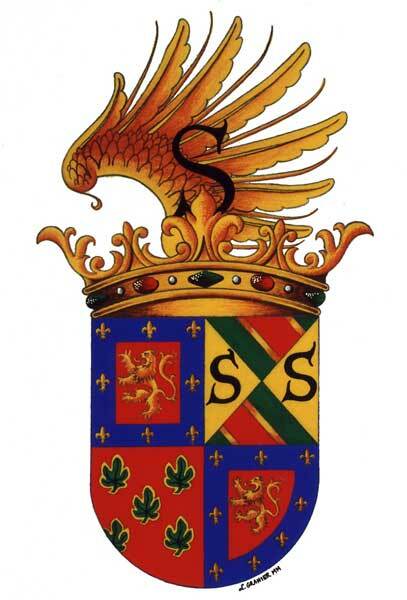 Coat of arms of the noble St Julien’s family (Gévaudan, France). 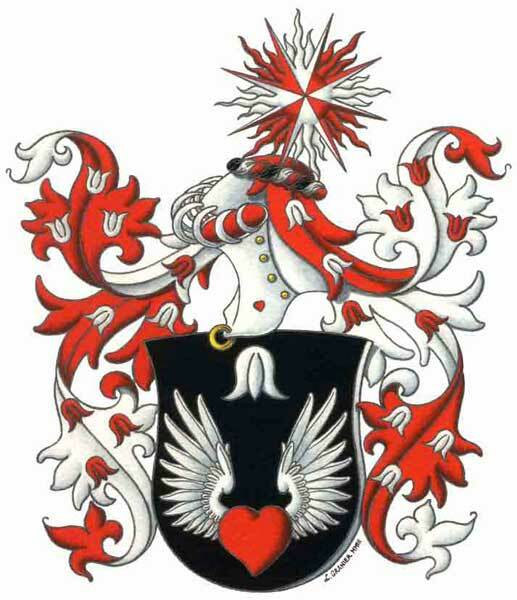 Coat of arms of the noble Jonemann’s family ( Prussia, Germany). 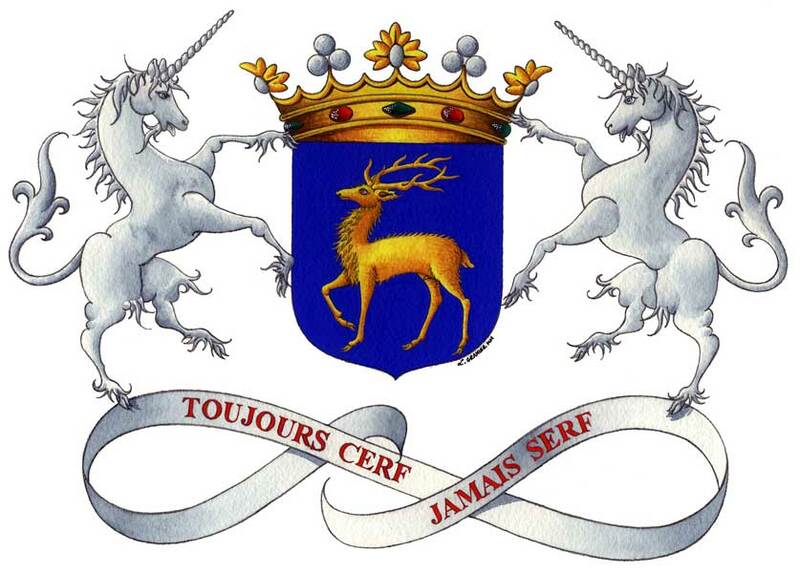 Coat of arms of the noble Gérentet de Saluneaux’s family (Forez, France). 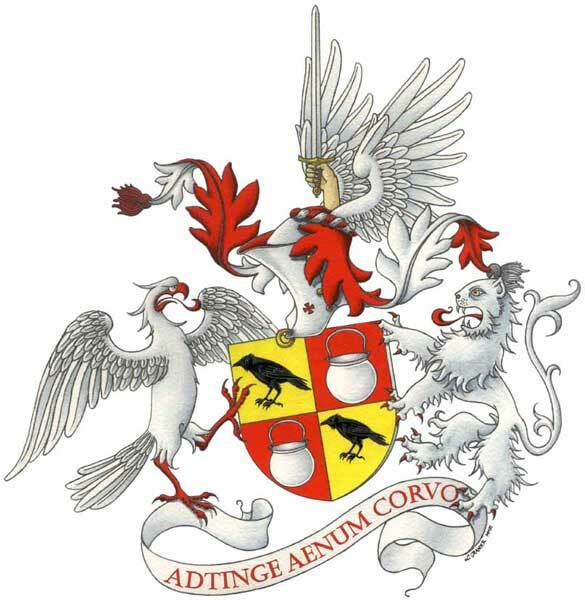 Coat of arms of the Marquess of Servins d’Héricourt (Artois, France). 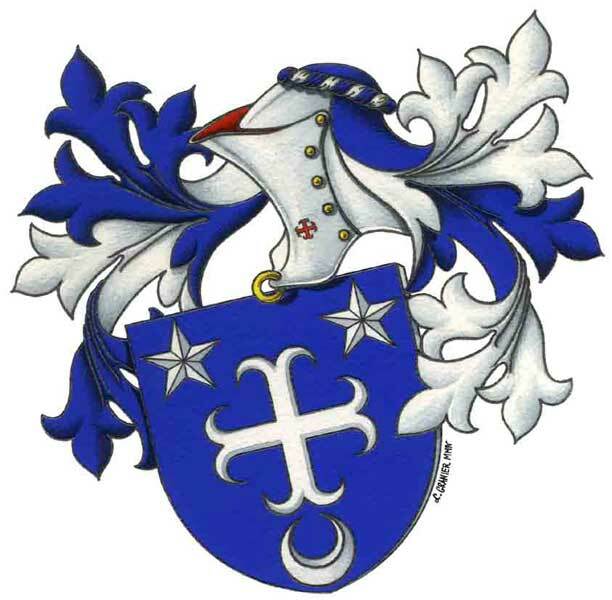 Coat of arms of the noble Cadoine de Gabriac’s family (Gévaudan, France). 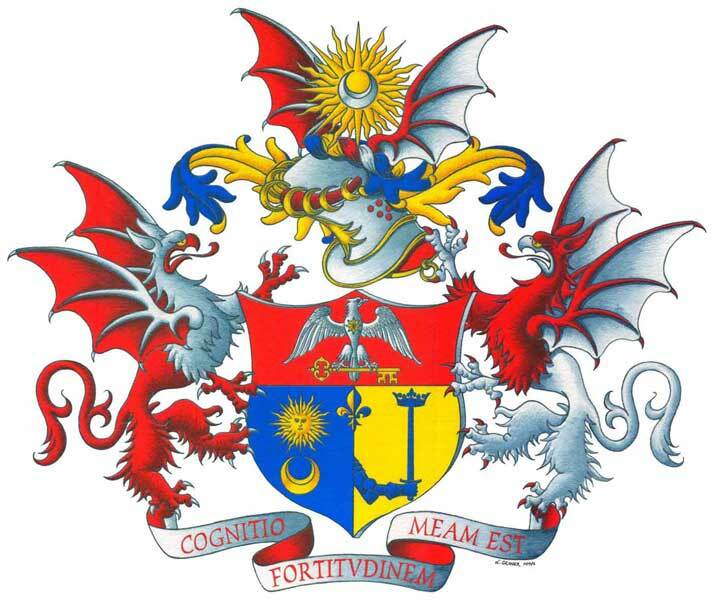 Armorial bearings of two families quatered in one shield. Each supporter comes from each family. 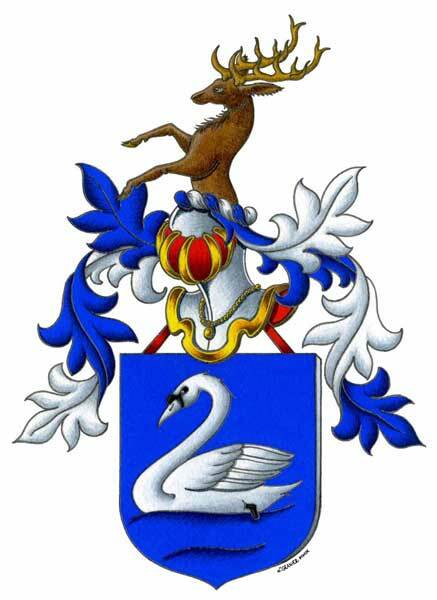 Creation of the arms of a couple. The roses symbolize their three children. 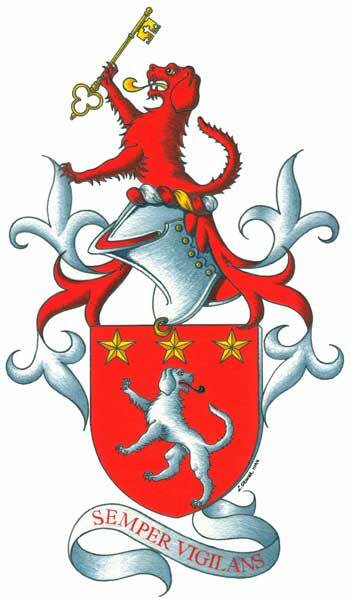 Armorial bearings of the Moreno’s family (France). 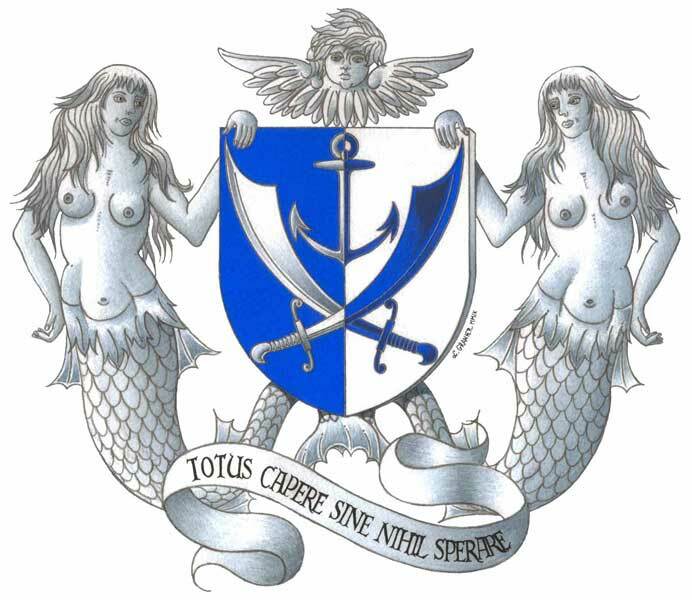 Creation of the arms of a gentleman who made the pilgrimage of Santiago de Compostela (France). 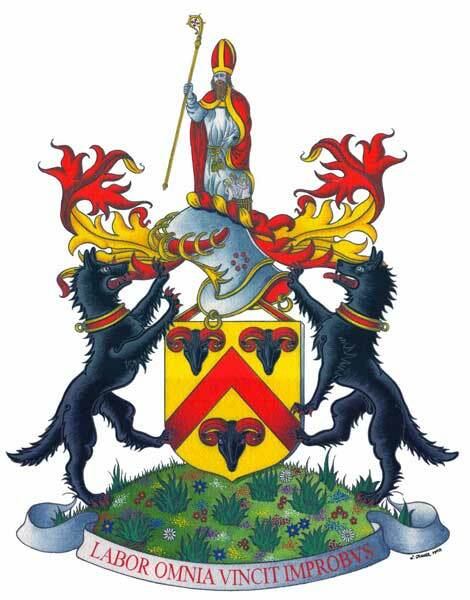 Arms of the noble family Dire alias d’Iré (Anjou & Velay, France). 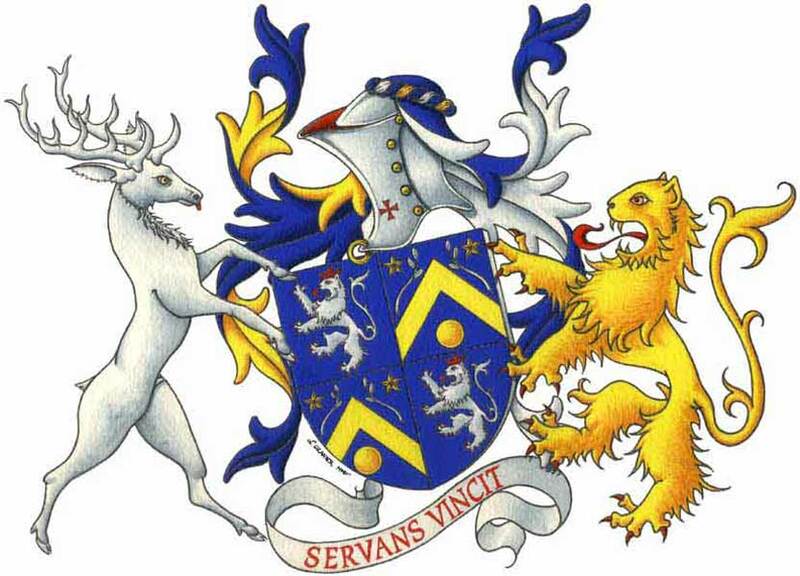 Creation of the arms of the Courcou’s family (France) resuming in chief the arms of La Vieuville’s family from who she comes from (France). 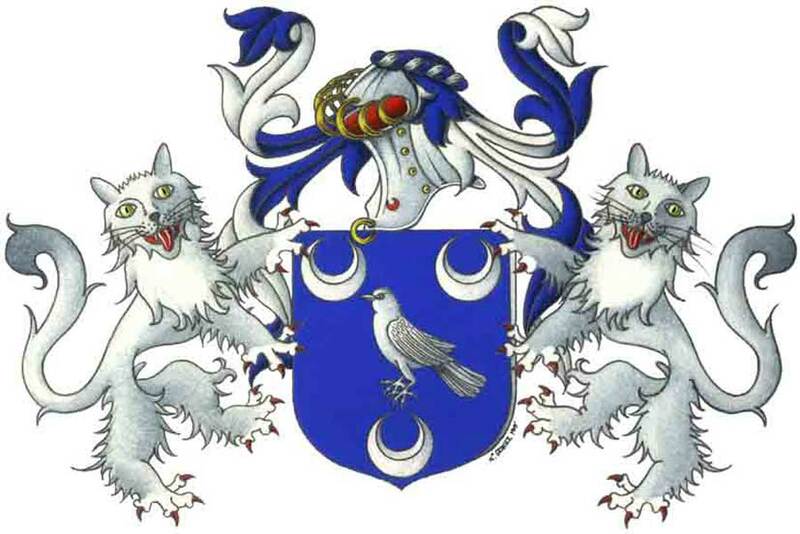 Coat of arms of the Meignien’s family (Lorraine, France). 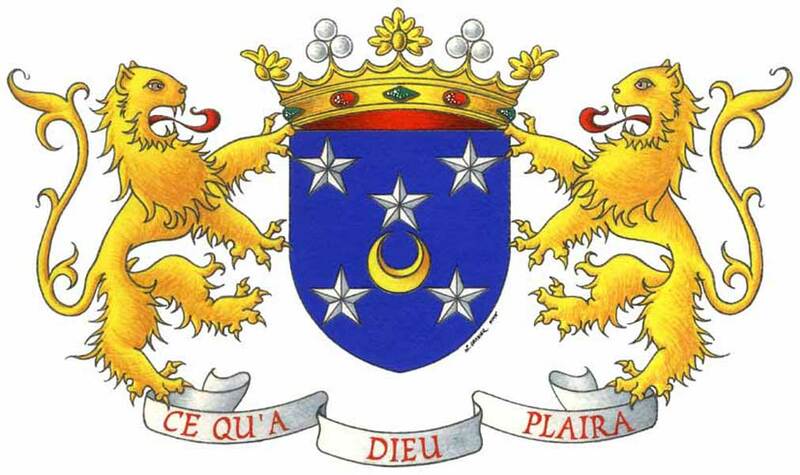 Creation of the arms of the Médina’s family (France, Spain). 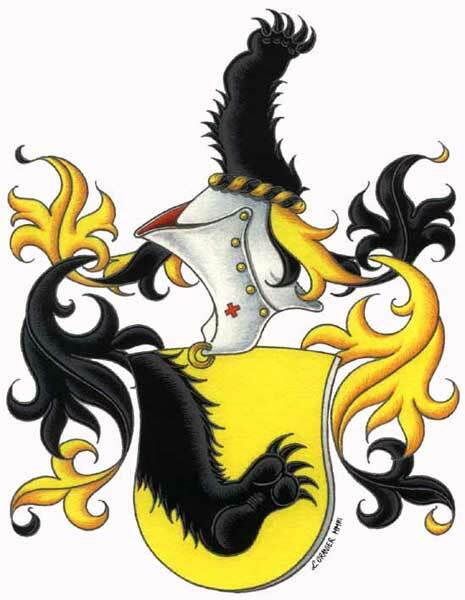 Coat of arms of the Berner of Unterkulm’s family (canton of Argovie, Switzerland). 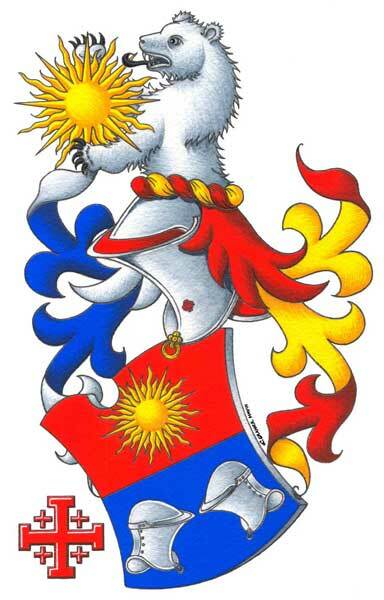 Coat of arms of the Berner of Aarau’s family (canton of Argovie, Switzerland). 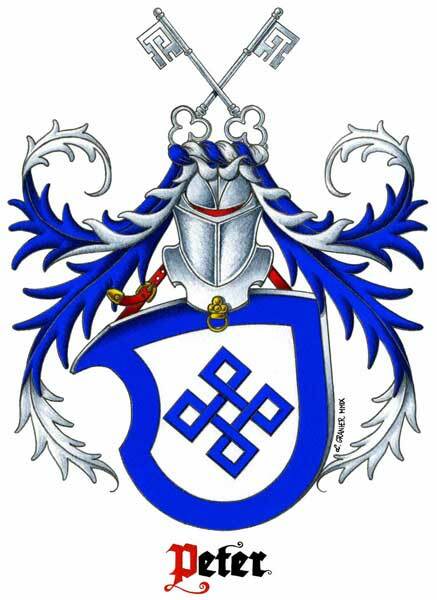 Armorial bearings of the prominent feudal family Alleman (Dauphiné, France). 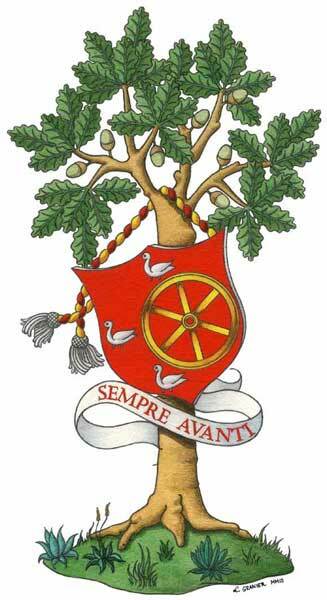 Armorial bearings of the Italian family Martalo, with a cadency mark: a canton ermine, the creation of the crest and the addition of the motto of the armiger. 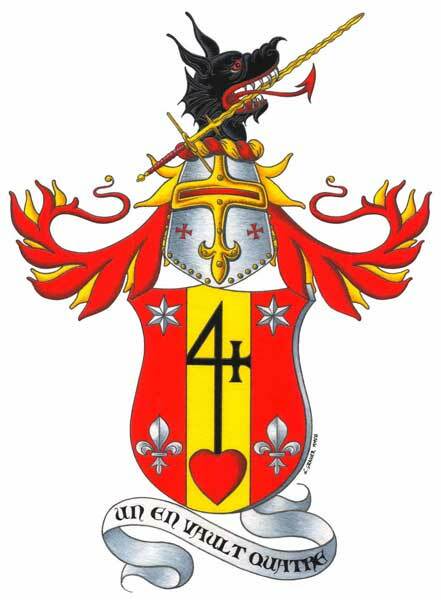 Creation of the arms of the Mussier’s family (Nivernais, France). 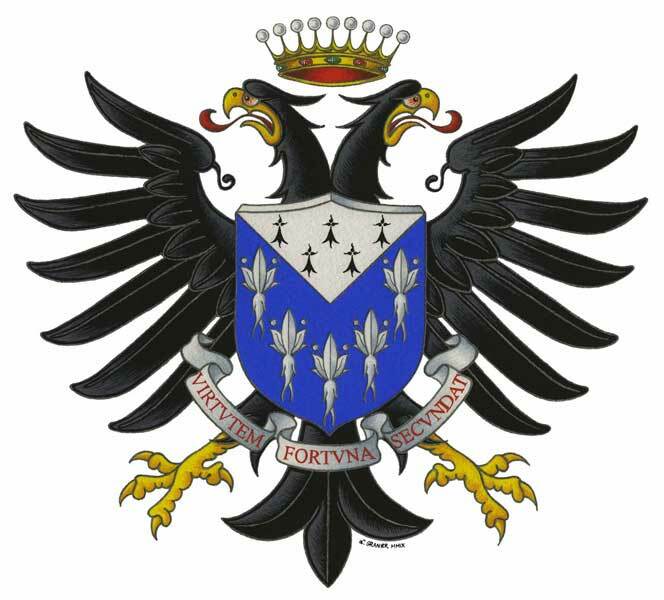 Creation of the Goutagny’s coat of arms (France). 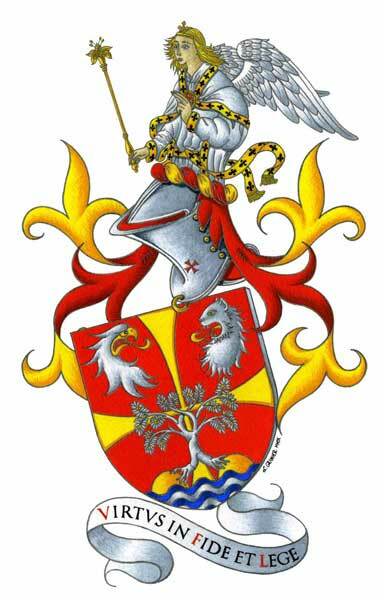 Canting arms of the family Thomas de Closmadeuc (Brittany, France). 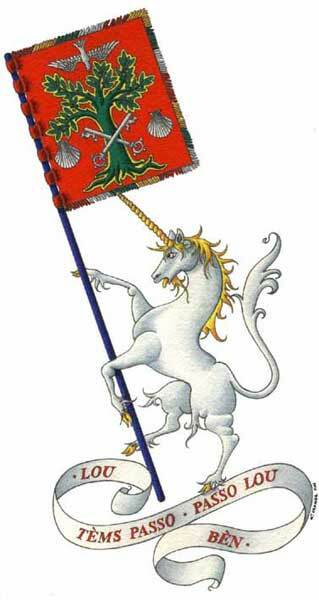 Heraldic rendition playing with the arms of the Lyonnais and the Dauphiné provinces. 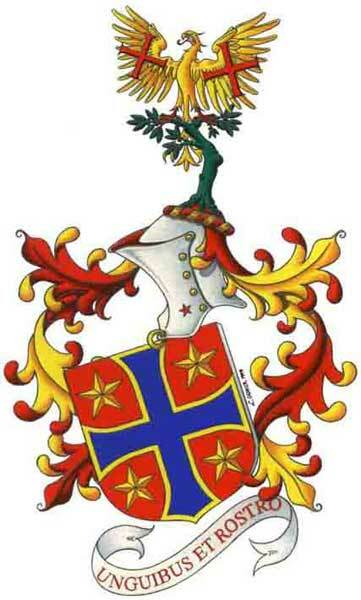 Creation of the arms of the Reboul’s family (France). 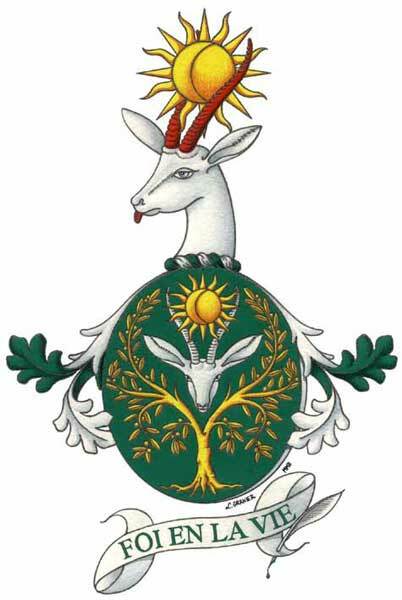 Creation of the armorial bearings of Miss Ghazeli (France, Algeria). 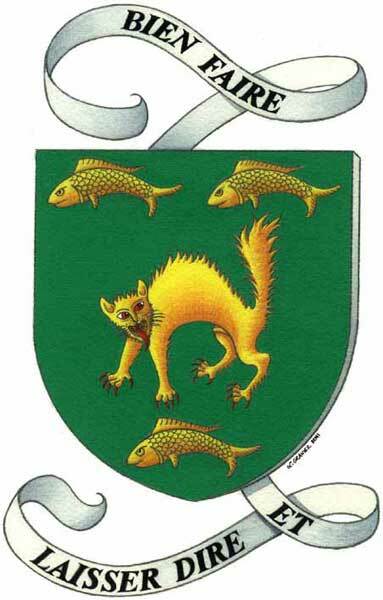 Creation of the arms of the Barbe’s family (Burgundy & Franche-Comté, France). 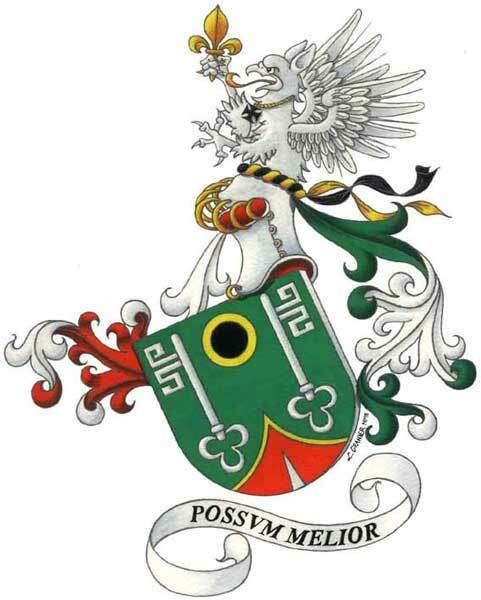 Creation of the arms of Ronald Pestmal Sainsauveur ( France, Latvia). 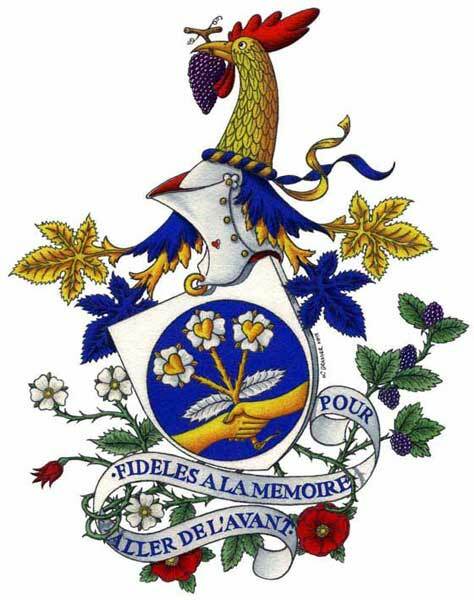 Creation of Lilian Cailleau’s coat of arms with his badge (France & Canada). 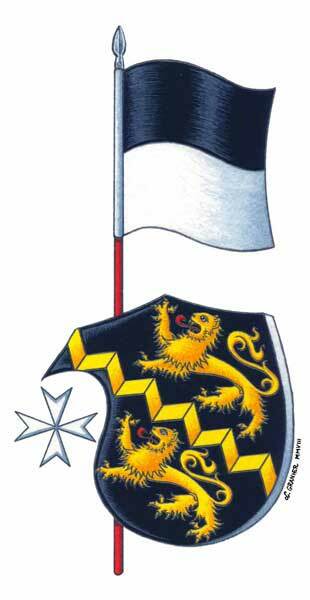 Creation of the coat of arms of the Verhagen-Ardoli’s family (France & Corse). 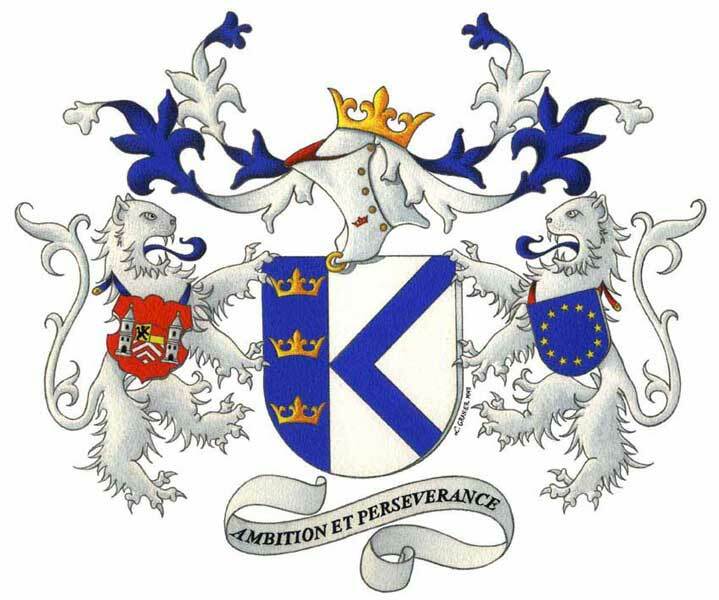 Creation of the coat of arms of the König’s family (Germany and France). 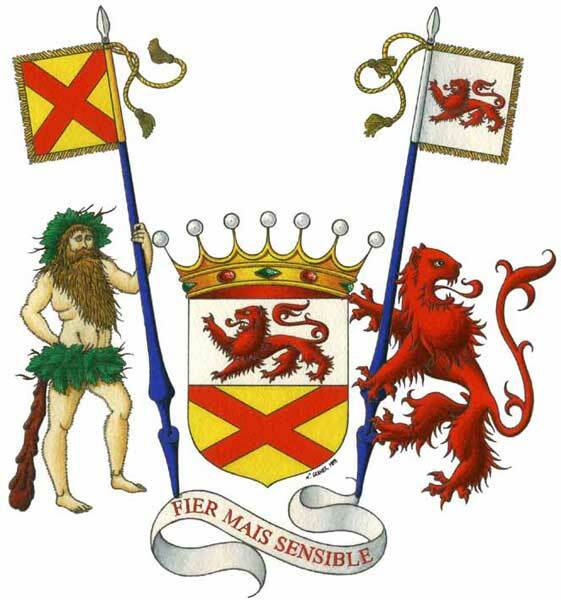 The lion of senestre holds the arms of the village of origin of the family and that of dexter those of the European Union. 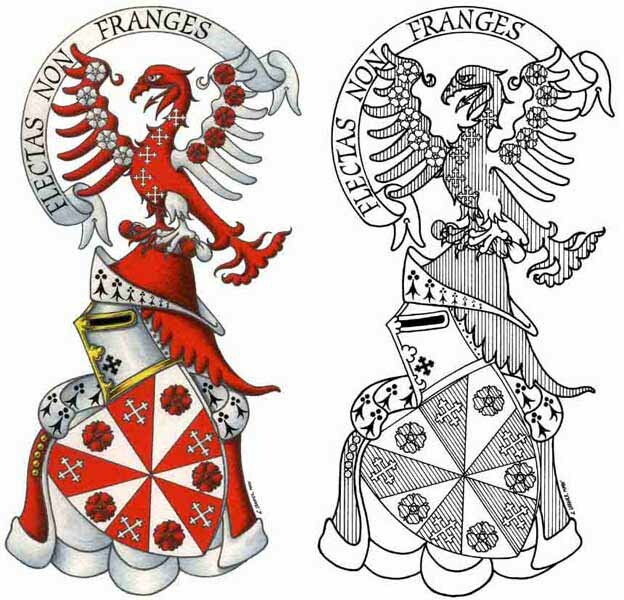 Greater arms of the counts van Drogenbroeck (Belgium). 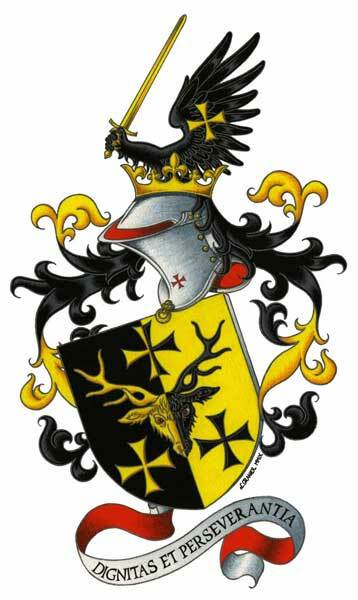 Armorial bearings of the noble van der Gracht’s family (Belgium). 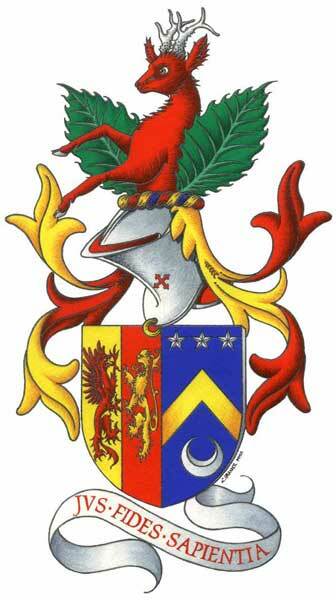 Creation of the arms of Philippe Paquet (France). 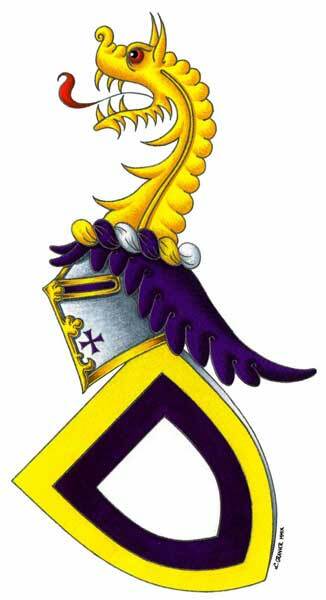 Interpretation of the historic coat of arms of the marquesses of Gislain de Bontin (Normandy, France). 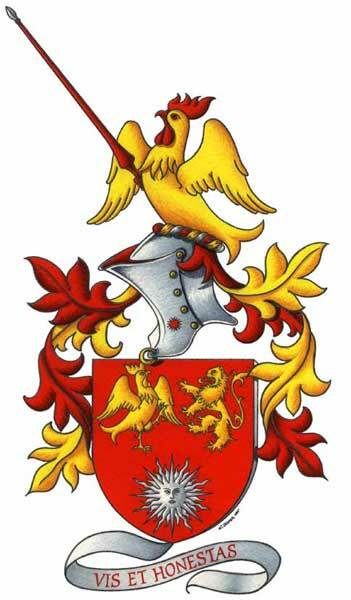 Coat of arms of the Portuguese family Pinheiro Marques. 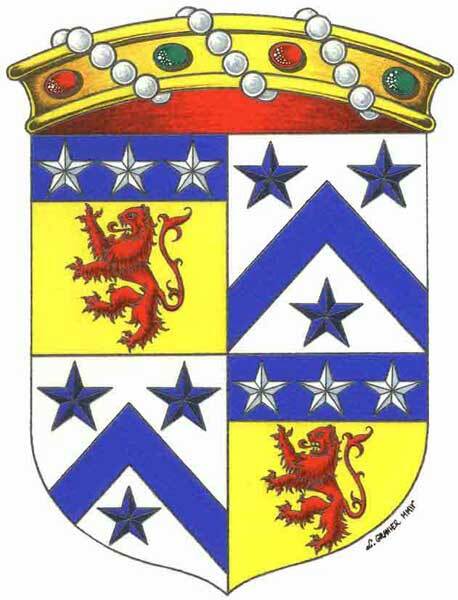 Armorial bearings of the princes of Oldenbourg. Indian ink drawing on paper made from rags ’Arches’, cold pressed 300g/m2.